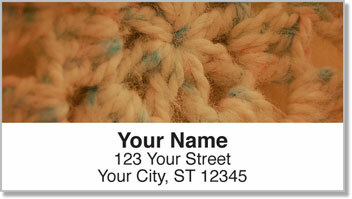 Give your letters and packages a homemade look that has all the softness and warmth of your favorite sweater. 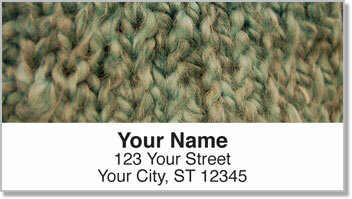 These unique address labels feature images of four different knits made from colorful yarn. They look almost as cozy as the scarf your Grandmother made you for Christmas. It's amazing how a spool of yarn and a couple of knitting needles can show someone how much you care! 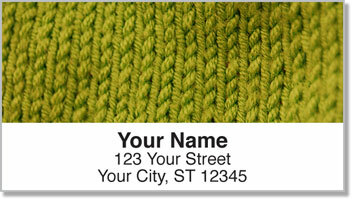 Knitting & Stitching Address Labels from CheckAdvantage let you send a little of that love on each envelope. This easy-to-use product has a self-adhesive backing and eliminates the need to write out your return address over and over again. 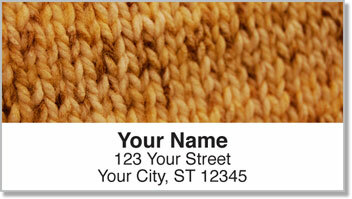 Get your own Knitting & Stitching Address Labels now! You can also find this design in a set of matching personal checks.